The Bobcat T870 is Bobcat’s largest compact track loader ever manufactured. 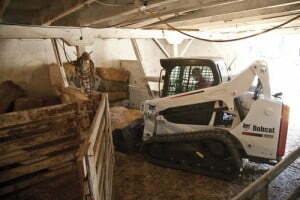 The 12 foot lift height makes it the highest lifting Compact Track Loader on the market. 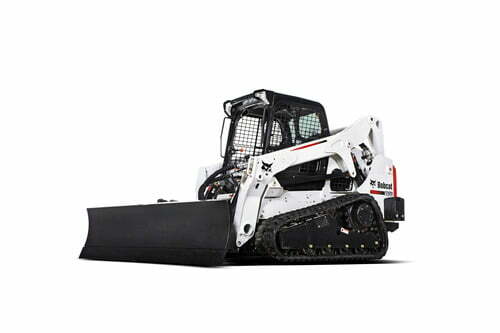 This machine provides operators with more powerful hydraulics, increased fuel capacity, higher lift capacities and reach, increased pushing power and higher horsepower than any other Bobcat compact track loader. Operator comfort has been increased with a new cab forward design providing visibility in all directions, and a more spacious and comfortable cab. Uptime is increased with the new design which makes it easier to clean out the cooling system with the oil cooler swinging up, which allows for easy access between the oil cooler and radiator. This allows for simple and easier maintenance checks during the proper intervals. The Bobcat T770 is the perfect choice when you want more digging force, more pushing power and more lifting capacity to keep moving in bad weather and less-than-ideal ground conditions. With a 92 hp engine, 3475 lb. Rated Operating Capacity (ROC), strong lifting power (up to 11 feet of vertical lift) and added reach, you can place cargo, dig deeper and tackle your most demanding tasks with less ground pressure. Like all M-Series models, the T770 has an industry-leading cab design that offers improved comfort, visibility and operator-friendly features. 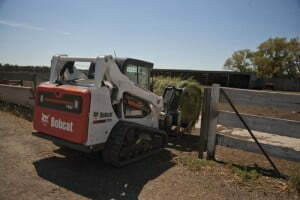 The optional pressurized cab provides a cleaner and 60% quieter work environment. 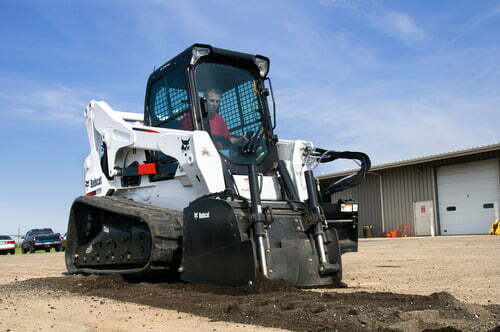 Extend your work season and grow your profits with a Bobcat T770. 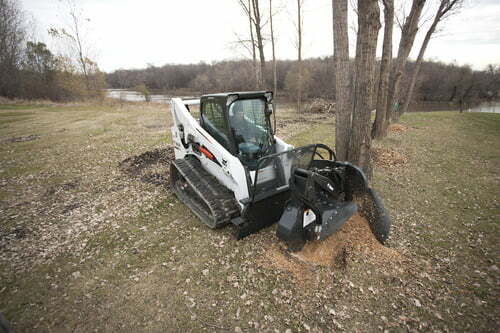 The Bobcat T650 compact track loader is part of the M-Series. Get top productivity and extend your working season with the Bobcat T650. The vertical lift path gives you maximum forward reach at flatbed truck height for a variety of grading, digging, trenching and backfilling jobs. With the optional pressurized cab, you’ll work in extreme comfort and get improved visibility of your working area. M-Series models deliver unequaled digging and pushing power, combined with the most available attachments in the industry. Equip your new T650 with the optional Roller Suspension™ system that increases operator comfort without sacrificing durability. 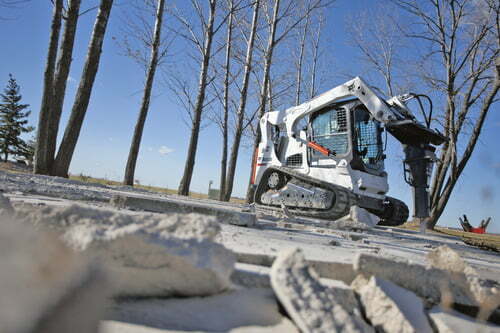 Bobcat T590 the highest lifting height in the 500 platform, the Bobcat T590 compact track loader is ideal for loading and unloading tasks. The vertical lift T590 is ideal for tasks where space is limited but the need for maximum lift height is necessary.